A few years back, I started experamenting with making leather earrings on my Cricut. I was amazed at how easy this project was. I am an impatient crafter. Making leather earrings on your Cricut is a quick project. If it is complicated. I quit. Anyone else? The Cricut machine really does make crafting fun and quick. I loved my leather earrings but the only problem was my mat was A MESS! After I would make earrings, the residue from the back of the leather stayed on my mat. I would have to clean my mat, which took a LONG time! Finally, I decided there had to be a better way. So I researched. I tried a lot of things. With a lot of trial and error, I have found the EASIEST way to cut leather on a Cricut WITHOUT making your mat dirty. More importantly, it's easy. It's foolproof. Here's how I do it. Cutting leather on your Cricut is easy when you have 3 basic supplies. First, you need some leather. 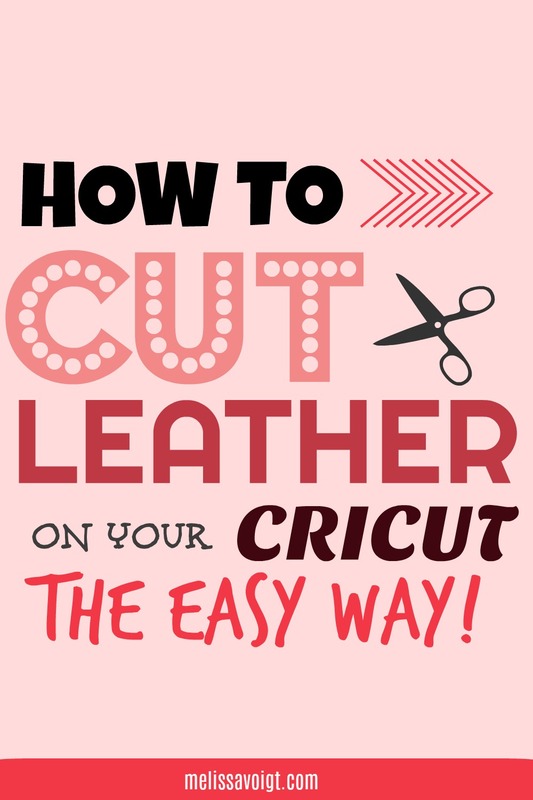 Please note: you DO NOT need to use this method with Cricut brand leather. You can simply place a Cricut leather sheet on your Strong Cut Mat and cut. However, if you like to use real leather scraps you can purchase some on Etsy. I recommend this shop. If you have a Hobby Lobby near you, they typically have a great leather scrap section. You could also browse thrift stores for used leather coats and purses! Cut them up and use the scraps for your leather crafting projects! You will also need to purchase Cricut Transfer Tape. This tape will be a barrier between your leather and your mat. It will keep your mat from getting leather pieces all over it! Transfer tape also makes sure your leather doesn't bunch or shift during the cutting process. You will also need some sharp crafting scissors. I love my gold scissors. I use them for a lot of crafting. Plus, they are SO beautiful. It's the little things, you guys. Cut a piece of transfer tape a little larger than the size of leather you plan on cutting. I am using a small leather piece in the above picture. You can use this method for big and small leather pieces. Just make sure your leather scrap fits within the dimensions of your Cricut mat! The transfer tape is fool proof. I love the grid lines. It makes it super easy to cut a piece with relative ease. 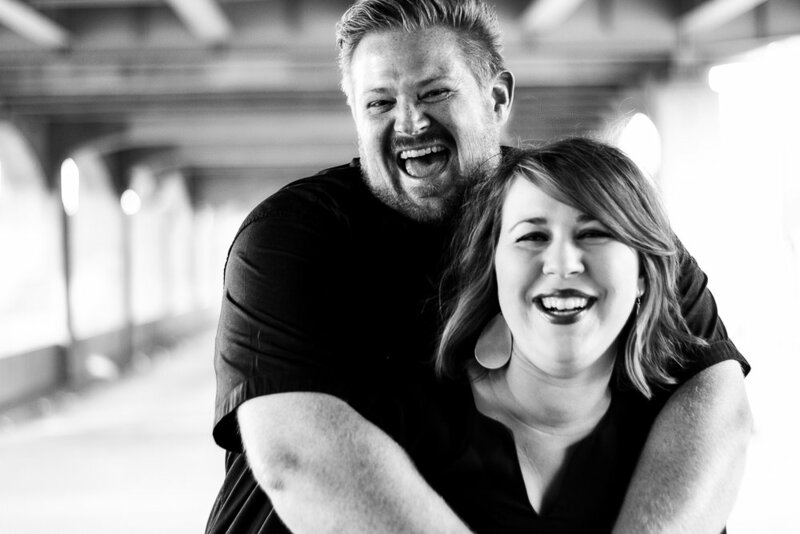 You don't have to be perfect with this. You can trim it up later. For now, just make sure your transfer tape is slightly bigger than your leather! 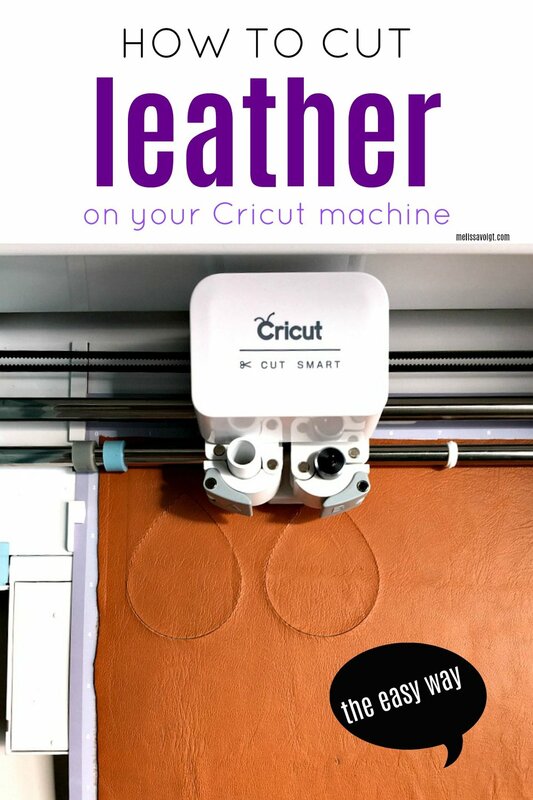 PLACE YOUR LEATHER ON YOUR STRONG GRIP CRICUT MAT AND CUT! Lay your transfer tape down with the grid side of the transfer tape facing up. Slowly peel back the grid paper off your transfer tape. The grid side of the paper will be sticky. Once you have the entire grid portion peeled off your transfer tape. Place the back side of your leather ON TOP of the sticky grid transfer tape. The back side of your leather is the grainy side. In other words, the back side (or grainy side of your leather) should stick to the transfer tape! Trim you transfer tape so that it matches your leather piece. You don't want any extra sticky transfer tape to hang outside your leather. Flip it over and attached the transfer tape directly onto your cutting mat. The TOP of your leather should be facing up. The transfer tape sticks to your Cricut mat beautifully! I have to admit, I was skeptical. It keeps your leather piece in place. You leather should not bunch of shift during cutting. Please note: I use the Cricut Deep Cut Blade when cutting leather. Check out how to make fun earrings using leather with a FREE pattern below!